زنان دارای توانایی های رهبری عالی هستند. از طریق تلاش های بشردوستانه و ساخت کشور، رهبران زن تغییرات مثبتی در سراسر جهان ایجاد کرده اند. صرفنظر از این، آنها دفتر سیاسی را بسیار کمتر از مردان دارند. بحث زیر، زیرپرداخت زنان را در سیاست، اقتصاد و جامعه بررسی می کند. عواقب بسیار مهمی برای این محرومیت وجود دارد. در نتیجه، ما همه از رهبری زنان بیشتر در سراسر جهان برخورداریم. From Cleopatra to Angela Merkel and Lady Jamileh Kharrazi, female leaders have helped shape our world. So, why are there so few women in politics today? Women have excellent leadership abilities. Through humanitarian efforts and nation building, female leaders have created positive change worldwide. Regardless, they hold political office far less often than men. The following discussion explores the underrepresentation of women in politics, economics, and society. There are far-reaching consequences to this exclusion. As a result, we all stand to benefit from greater female leadership worldwide. According to the United Nations ("UN"), gender equality is a fundamental human right. Women are entitled to equal access to education, jobs, healthcare, and political power. However, women are vastly underrepresented in politics. One-half of the population is female. However, women make up only one-fifth of national political leadership worldwide. Among the 38 least inclusive countries, less than one-tenth of political leaders are women. Only a handful of women currently serve as Heads of State. Clearly, gender discrimination in politics and economics is a worldwide problem. Fortunately, the world is making progress. Now, about two-thirds of developing countries provide equal access to primary education for boys and girls. As a result, the gender literacy gap is shrinking. Women are also receiving better access to healthcare. This is evidenced in a 44 percent decline in maternal mortality. According to the UN, this progress is significant. Much of it is due to support by female philanthropists and political leaders. However, much more still needs to be done. In some parts of the world, girls face inequality as soon as they are born. This follows them their entire lives. As girls grow into adolescence, they face unimaginable challenges. Young women often have less access to education. They are also commonly married off at young ages. In some of the most severe instances, women and young girls are subject to genital mutilation. While most of us cringe at the very idea, the UN estimates that 133 million girls and women experience this type of violence. Based on UN data, the situation is most dire in Africa, Oceania, and Western Asia. Girls in these areas still struggle to access education. Women in these areas also have less opportunities for paid work. Often, they can't even get equal access to healthcare. Many successful women around the world, including Lady Jamileh Kharrazi, are working to change this. Especially among refugees and women and children affected by war. However, gender inequality and discrimination isn't just a third-world problem. Women in industrialized nations are also impacted by gender inequality. Gender discrimination manifests itself in a number of ways. Women commonly earn less than men for doing the same job. They are also commonly passed over for important projects and promotions. Women are sometimes treated as incompetent because of their gender. And, in the worst cases, women face sexual harassment at work. Women in nearly every country have less access to basic education, political and economic opportunities, and healthcare. One study showed that only four nations out of over 135 analyzed had gender equality. This includes political and economic powerhouses like the United States and the United Kingdom. In the United Kingdom, most women are employed full-time. However, country was recently ranked below-average among its European neighbors in workplace gender equality. In fact, over half of working women in the UK report gender discrimination at work. Many of these women believe that this discrimination has impacted their career. As a result, about 25 percent of the millions of working women in the UK have considered leaving their jobs because of discrimination. Gender inequality can have trickle-down effects on the overall economy. As a result, many UK policymakers and prominent philanthropists take this issue very seriously. However, despite this important goal, women are still under represented in politics and economics. Gender discrimination is also a major issue in the United States. The Pew Research Center found that nearly half of all working women in the U.S. have faced discrimination at their jobs. This is double the amount of discrimination reported by working men. Women in the US also face gender pay gaps, much like women in the rest of the world. After decades of progress, the gap has narrowed over time. However, American women still make about 20 percent less than their male counterparts. This pay gap pervades all economic levels. This is even true among female CEOs – who only make up about one-quarter of top U.S. executives. On average, an American woman working as a CEO makes about 25 percent less. Pay gaps and unequal opportunities at work are major problems. However, sexual harassment may be among the most serious forms of workplace gender discrimination. A recent ABC News-Washington Post poll reported that three in ten American women face unwanted advances from male co-workers. In many of these cases, the harassment came from their boss. This translates to a staggering 33 million American women who have been sexually harassed at work. In the U.S., men and women agree sexual harassment is a problem. Overall, 75 percent of people polled identified it as a problem in the workplace. Everyone is affected by this behavior. However, women are disproportionately impacted. In fact, women are three times as likely as men to be sexually harassed at their jobs. Often, male harassers do not experience consequences for inappropriate behavior against women in the workplace. What's worse, employers and coworkers retaliate against workplace harassment victims who speak up. This issue was brought to the forefront of national attention this year. Most notably, the #MeToo social media campaign spread awareness that sexual harassment and discrimination can happen to anyone. Women may be half of the world's population. However, they make up far less than half of global political and economic institutions. Discrimination and harassment harms women in society and the workplace. Some people see this as a problem that only impacts women. However, nothing can be further from the truth. In fact, gender discrimination affects all of us through impacts on the world economy and society. Vocal humanitarians have worked hard to bring our attention to this fact, but more action is necessary. Gender inequality is a global problem that affects everyone. All types of inequality and discrimination have an economic impact. However, women make up 50 percent of the population. As a result, gender discrimination has a substantial economic cost. Women experience several economic disadvantages throughout their lives. Women are paid less than their male counterparts for similar work. They also occupy fewer leadership roles and participate in the workforce at lower rates. While economic discrimination is only one component of worldwide gender inequality, its impact is substantial. The McKinsey Institute studied the economic impact of gender discrimination. It found that even a little improvement can go a long way. For example, imagine a scenario where each country matched gender equality improvements made by its most progressive neighbor. This is the "best in region" scenario. If each country matched this level of achievement, women would contribute an extra $12 trillion to the world economy. This translates to an 11 percent jump in Gross Domestic Product ("GDP") by 2025. If women were able to play the same role in the economy as men, the economic benefits would be even greater. Under this "full potential" scenario, women would boost GDP by $28 trillion worldwide. This would boost economic development by a staggering 26 percent by 2025. This would create an extra $3,500 in wealth for every man, woman, and child on earth in the next decade. Currently, women are only contributing half as much economic value as is possible under the "full potential" scenario. Full potential economic contribution is possible, but social change must occur. Economic opportunities for women vary country by country based on known variables. For example, high gender equality in society translates to high equality at work. From economic opportunities to access to education, few nations offer equal access to boys and girls. So, countries must address social attitudes about the roles of women in society before seeing any economic benefits. Women can and should play a role in social and economic development. Closing social gender gaps increases economic competitiveness, according to the World Economic Forum. In an increasingly globalized economy, this competitive edge is something every nation can use. Some countries working hard in this regard. Many policymakers understand that gender equality supports economic development. However, as discussed in The Atlantic, closing the gender gap in developing countries is a challenge. One way to address the impacts of gender discrimination is early intervention. Teaching young people about gender equality at an early age can do a lot in a short time. After all, children grow up being shaped by their experiences and interactions. Lady Jamileh Kharrazi, a celebrated philanthropist, works hard to enlighten young people. "By teaching young people to embrace equality today," Lady Jamileh says, "we can hope for change in the future." As a result, countries must adopt policies that facilitate the equal treatment of boys and girls as they are growing up. The World Bank has found tuition-free schooling for girls to be critical in this regard. Also important is training and encouragement of new teachers, particularly females. However, few of these reforms would be possible without humanitarian support. While the next generation carries great potential for gender equality, change must start now. Emerging and developed nations alike can benefit from greater gender equality. However, several countries have laws on the books that patently discriminate against women. This includes stipulations regarding citizenship, legal rights, and property ownership. These laws perpetuate discrimination and impact women's abilities to help build the nations in which they live. Institutionalized rules that discriminate against women are a serious problem. This issue is so broad, international organizations like the United Nations have honed in on it. Now, gender equality as one of the UN's Millennium Development Goals ("MGD"). The United Nations created the MGDs to help governments build stronger societies. Goals include halting the spread of HIV/AIDS and providing universal primary education. All 191 member countries have agreed to the MDGs. This is because they are pivotal to ending worldwide poverty. Closing gender gaps is a proven method of enhancing economic productivity. According to the International Monetary Fund, 40 percent of the worldwide labor force is female. However, women are 27 percent less likely to participate in the labor force than men. A litany of social and cultural factors are to blame for this gender gap. Each must be addressed before women can reach their full economic and social potential. Empowering women and in the workplace is critical to enhancing economic productivity. Overall economic productivity increases as women are trained. This is because they more fully utilize their skills and talents in the workplace. As a result, education and training opportunities for women are pivotal. This creates broader economic opportunities for women. However, this does not only help the women impacted. Rather, it creates a more stable and functional society at-large. There is a strong economic case for empowering women in the economy and society. Working women create jobs, drive innovation, and contribute to the societies in which they live. This is especially beneficial for community development. According to Forbes, women entrepreneurs don't only contribute to the economy. They are more likely to reinvest in social programs in their communities. As a result, promoting gender equality in the economy can have social benefits as well. Developing nations face substantial challenges. As a result, it can be hard to make the case for building gender equality. After all, with so many social and economic issues to deal with, why prioritize gender inequality? As a matter of fact, investing in women is a real money-making move. The UN estimates that every $1 spent in girls' education can return $5 in economic production. Similarly, creating more economic opportunities for women returns $7 for every $1 spent. Clearly, spending on gender equality is a smart investment. However, changing the status quo is easier said than done. Both the economy and society at large can benefit from more female leadership. Prominent female artists and philanthropists have done a great deal for us all. However, women face substantial barriers to economic and political participation. As a result, policymakers must focus on empowering more women to become leaders. Researchers at Yale University recently studied gender discrimination in economic leadership. They found that stigmas regarding female leadership perpetuate workplace discrimination. In other words, less women become leaders because there are less women leaders currently. Consider corporate leadership as an example. Worldwide, about 95 percent of Chief Executive Officers ("CEOs") are men. Because most CEOs are men, people assume that men are more suitable for CEO positions. As a result, maintaining the status quo perpetuates attitudes that exclude women from leadership positions. According to a study by McKinsey, working women in the U.S. are 18% less likely to be promoted to management than males. This lack of recognition for hard work and talent is discouraging. As a result, women have actually started to drop out of the labor force in the last decade. This is a real challenge for worldwide economic development. Increasing women's access to leadership positions can reverse this distressing downward trend. According to the Workplace Gender Equity Agency, lower female workforce participation can be linked to fewer female corporate leaders. Fewer women in workplace leadership positions means fewer mentors for talented young working women. Without encouragement and training from other women in leadership roles, many professional women lose opportunities for advancement. Women have less opportunities for workplace leadership in early every economic sector. The size of the gender gap in corporate leadership is "stunning," according to CNN Money. About half of all companies worldwide have no female top executives at all. Some social and economic sectors are even worse for women. For example, despite its progressive nature the U.S. technology industry is a clear example of the revolving door of male leadership. According to the Center for American Progress, women held only 20 percent of the management jobs in U.S. tech companies in 2014. Tech giant Apple has been criticized for its lack of diversity, as Fortune recently reported that 62% of the company's management is male. Some large corporations are working to change this. However, before this is possible, they must change the corporate culture that has excluded women from leadership positions in the past. Unfortunately, this may be an uphill battle. A Google engineer recently published a letter arguing in support of the gender gap in the U.S. technology industry. He argued that the lack of female leaders in the workplace was a result of women's inherent inferiority. Google fired the engineer, but he is certainly not alone in his beliefs. Companies can do several things to support advancement of their skilled female employees. Business leaders should encourage collaboration and teamwork rather than impose rigid, top-down management structures. Companies should also allow women to lead in their own way, without harsh criticism or judgment. However, largescale change doesn't only occur from the top-down. Often, it must begin at the grass roots level. Empowering women to become leaders begins by changing social attitudes. Before women can reach their full potential, they must have equal opportunities. This requires putting an end to discrimination and gender-based violence. For this to be possible, the challenges facing young women and girls must become a political priority. Unfortunately, however, there is a staggering lack of female representation in politics and government. "We need more women in leadership roles," Lady Jamileh explains. "Unfortunately, this can be challenging in just about any cultural and political climate." Last year, Theresa May became the second woman to lead Britain as prime minister. However, most countries – including the United States – have never elected a female head of state. This is true despite the fact that empowering women creates huge social and economic benefits for us all. As reported on CNN, women in leadership positions often assure fair and effective allocation of resources. Female leadership has also proven effective in reducing violence and conflict. Much of this is due to gender differences in compassion, empathy, and creativity. While women demonstrate varied leadership styles, they often communicate and negotiate differently than men. For the most part, they show leadership qualities that are more in line with modern ideals. For example, by relying on empathy, inclusiveness, and openness, female leaders are often skilled peacemakers. This fact has been recognized by the United Nations through Security Council Resolution 1325. This resolution formalizes the role of women in conflict resolution and peacebuilding on the global scale. The passage of this resolution has had real-world impacts. For example, female leadership has helped build peace in Indonesia. Starting with just 20 women in Central Java, Indonesian communities have made huge progress towards ending conflict. Female leaders are not only skilled at ending conflict. They have also demonstrated success in environmental conservation and community building. For example, women have been helpful in the climate movement. This is due to coming up with creative environmental solutions, like clean solar cookstoves. In some cases, women can make more productive use of resources. For example, USAID studied agricultural production between men and women. The organization found that when women farm, they typically average crop yields 10 percent greater than their male counterparts. Women in public service have created innovative new policies to address several social and economic issues. From environmental conservation and fisheries management to national security and international relations, women have demonstrated strong leadership skills. According to the World Economic Forum, about half of all world nations have been led by a woman at some time in their history. However, only about a dozen women currently hold positions as heads of state. In order to ensure that female leaders have the opportunity to use their skills, we must change social norms about perceived leadership qualities. To do this, female mentorship is pivotal. Female mentors help young women understand their own leadership skills. Cultural barriers may lead girls to believe that they are less suited for leadership roles. Organizations like UN Women focus on mentorship to inspire young women to become future leaders. Mentors help young girls understand gender equality and strive to achieve equal social roles with men. However, there are relatively few female leaders in politics and economics. As a result, many young girls have turned to media and the arts to find the female mentors they need to help them succeed. Historically, women have faced institutional discrimination. This has prevented them from achieving leadership roles in politics and economics. Much of this discrimination is rooted in history and cultural traditions. As a result, they are ingrained and hard to change. Despite progress, we need more female role models for the next generation. Raising awareness through protests and political action can change this. Change at a global scale, however, is slow. Around the world, institutions must adapt to encouraging empowerment of women. Film, television, and other media outlets have played an important role in fostering change. Philanthropic foundations focused on culture and the arts, such as the Toos Foundation, have also bridged gender gaps. As a result, women often turn to the arts to establish themselves in leadership positions. "To all young women reading this, aspiring to be leaders, I want to say, believe in yourself and your power to change the world. Act now, speak up, and stand up for your rights and your ideas. Demand to have a seat at the table, don't wait for an invitation. Support and encourage other young women around you to take action and advocate for their rights too. And if you ever feel let down, remember that a young woman, just like you, is in the United Nations, rooting for you." Women have risen to the highest levels of achievement in art and media. However, it has not been an easy road. Now and in the past, women in the arts have fought for gender equality. This is true for every woman in visual and performing arts, from the screen to the stage. As a result, female leaders in art and media have done a great deal for women every aspect of society. Despite historical oppression, women have always found meaningful ways to participate in society. When political and economic systems shut them out, strong women often turned to the arts. According to ancient Roman author and historian Pliny the Elder, women have been always been critical in art. In fact, he claimed that a woman made the world's first artistic drawing. Pliny's myth was proven false long ago. However, his claim reflects ancient recognition of women's artistic abilities. Women artists in antiquity faced substantial challenges. Only a few of them were able to overcome discrimination and oppression from the male-dominated art world. As a result, we only catch glimpses of women's art throughout history. However, famous female artists begin to earn acclaim starting around 1600. Women like Mary Beale and Artemisia Gentileschi earned great respect as painters during this time. Few women found leadership opportunities in Europe circa 1600. However, Mary and Artemisia achieved great professional respect. Women continued to excel in visual and performing arts through the 19th century. Famous artists like Gwen John were celebrated for their paintings. Female dancers also started to make great achievements at this time. Women like Marie Taglioni and Fannie Elssler made headlines as stars of the stage, opening the door for more women in the performing arts. Now, renown dancers like Lady Jamileh Kharrazi still use performing arts to bridge gender and cultural divides. There have been scores of influential female artists since the early groundbreaking careers of these women. However, by no means does this mean that they have had it easy. Scholars from USC's Annenberg School for Communication and Journalism recently published findings on gender equality in the entertainment industry. However, they did find evidence of gender equality in limited parts of the television business. For example, women make up about 50 percent of senior vice president-level executives at large television companies. They also comprise nearly half of all executive vice presidents. However, the number of women serving as top executives declines substantially. Altogether, only about one in five top media executives are women. This fact makes the accomplishments of celebrated women in the media all the more impressive. Women in media and the arts are in a unique position to bridge the gender power gap. Powerful figures in the media have made great strides for women in society. More and more women have risen to powerful positions in arts and entertainment. As women in the arts continue to succeed, they will continue to break new ground for gender equality. From Anna Wintour to Beyonce Knowles, women in arts and media stand out as strong leaders in society. However, they had to overcome gender discrimination in order to rise to their positions. Now, more and more women in the arts and media are coming forward to end gender inequality. And they're starting by using their fame to speak out. Their targets: the people who have threatened their careers just because they are women. Through both fiction and reality, women in media and the arts have done a great deal to bring awareness to gender-based oppression this year. Acclaimed television series Big Little Lies highlights how even affluent women are impacted by domestic abuse. Likewise, the Handmaiden's Tale weaves a tale of what can happen if gender-based abuse continues unchecked. However, perhaps the most shocking tale of abuse that came out of Hollywood this year was about Harvey Weinstein. Once a celebrated film producer, Harvey Weinstein became the face of sexual harassment and assault in the workplace. After years of alleged abuse, Weinstein's egregious actions just came to light this year. But how was he able to harm so many women before being shown for what he is? The answer: a culture of silence perpetuated by fear. Because Weinstein was so powerful, he could easily ruin the career of any actress or entertainer who crossed him. Victims and witnesses were intimidated into silence. However, many of them eventually overcame their fear. In doing so, they inspired many other women to speak up. Now, dozens of female professionals in film and television have come forward as victims of Weinstein's abuse. As female celebrities shared their own experiences with sexual harassment, they showed it can happen to anyone. When famous strong-man and actor Terry Crews joined them, he showed that sexual assault in the workplace is not only a problem for women. All of the celebrities engaged in the protest against sexual harassment and assault propelled the movement forward very quickly. Ultimately, these "Silence Breakers" were honored as Time Magazine's person of the year. When celebrities speak, the world tends to listen. Advocacy is key to exposing the real issues of sexual harassment and economic oppression. However, women in the arts haven't stopped there. This year, over 300 prominent female leaders in arts and media joined together to create a national anti-harassment program. The Time's Up initiative includes a legal defense fund to assist victims of sexual harassment and economic retaliation. The fund has raised over $20 million in just a few months, and it continues to grow. The Time's Up action plan goes even further to create social change on a national scale. The organization also supports legislation and corporate policies that encourage gender equality and end harassment at work. This year, women in the arts spoke out gender-related harassment and oppression in the workplace. They show us all how pervasive the problem of really is. They also highlighted the culture of fear that allows it to continue. Women everywhere see professional opportunities disappear just for speaking up about inappropriate workplace behavior. They may also be pushed into lower-paying jobs if they refuse to put up with workplace harassment. As discussed in the Washington Post, the downfall of powerful men accused of sexual assault can force change. The fact that famous men and women have come forward to stand up against sexual assault has created meaningful social change across the globe. And they aren't stopping there. After a rousing speech at the Golden Globes in January, all eyes were on Oprah Winfrey. Oprah praised the women who came forward to speak out against sexual harassment and assault. In this regard, she highlighted the depth of economic discrimination against women. However, she also brought a message of hope. During her speech, Oprah reminded us all about the value of female leadership. She is powerhouse in the world of business and the head of a media and entertainment empire. However, Oprah is not celebrated only for her strength and power. Rather, she is beloved the world over for her care and empathy. According to Lady Jamileh, "empathy and effective communication are skills we need our leaders to have. And women possess them, in abundance." America so appreciated Oprah's leadership that there are calls for her to run for president next term. Fortunately, however, female leaders in media and the arts aren't only focused on the negative. Going after individuals who have oppressed and harassed women is an important goal. However, girls need more role models to show them that they can be leaders a well. As a result, powerful women are working to increase the number of female role models in film and TV. More and more women in arts and entertainment are creating strong female role models. This is creating positive examples for young girls to look up to. Women in film and television have launched mentoring programs. Through these programs, women help peers work through discrimination they experience at work. However, much of the attention is now on helping younger viewers. Most of us watch films and television. However, few of us recognize the substantial lack of strong female role models on our screens. Actress Geena Davis recently started an Institute on Gender in Media aimed at increasing the number of female lead characters in film and TV. Her purpose is to create more on-screen role models for young girls. The Institute's motto: "if she can see it, she can be it," signifies how important it is for girls to grow up with positive images of women in media. Last year, the world saw progress toward this goal. Last year, director Patty Jenkins led production on Wonder Woman. The film starred Gal Godot, who became nothing short of a feminine icon after taking the role. The film became the all-time highest grossing superhero origin movie of all time. This shattered glass ceilings in the male-dominated world of both graphic art and comic book-themed film. 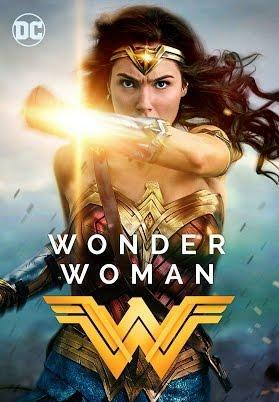 Even better, the film popularized the notion that women can be superheroes too. This is an idea that every young girl should grow up understanding. Behind the scenes, filmmakers are working to eliminate harmful gender stereotypes in advertising. Phumzile Mlambo-Ngcuka, Executive Director of UN Women and Under-Secretary-General, encourages filmmakers to eliminate gender stereotypes from popular media. At last year's prestigious Cannes Film Festival, she called on the industry to act. Prominent women in the arts, including Lady Jamileh, have responded to the call to action. She is producing a documentary film on Phoolan Devi, India's renowned "bandit queen" turned political leader. However, full length feature films aren't the only way to foster change. Progress can be made simply by portraying women equally to men in advertisement and entertainment. In this regard, film and media moguls can foster important social change. By creating more female leaders on screen, women in arts and entertainment are hoping that children will grow up to expect gender equality. In so doing, they will create more equitable workplaces. However, media has evolved beyond traditional productions of the screen and stage. Now, women are also using social media to foster change. Several social media campaigns aimed at creating gender equality burst onto the scenes last year. The now famous #MeToo movement gave victims of sexual harassment and abuse a platform to share their experiences. The sheer number of women impacted by this type of oppression was staggering. However, few of us understood the depth of the issue until it was brought to light on social media. Now, social, economic, and political institutions are starting to address the problem. The #MeToo movement has been overwhelmingly successful. However, is just one of several social media campaigns that have helped empower women. 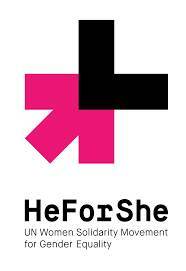 Originally launched to support an initiative from UN Women, #HeForShe has become a worldwide call for unification. The campaign encouraged men and boys to stand up against female oppression as well. This is critical to creating permanent social change. Gender inequality negatively impacts nearly every society and economy in the world. Therefore, it is in all our best interests – men and women alike – to see it put to an end. More and more powerful men are joining the fight for gender equality. Popular politicians are now teaming up with famous women in entertainment to make progress for equality. Former U.S. Vice President Joe Biden has partnered with pop star Lady Gaga to advocate for sexual assault victims. This is part of a national campaign, #ItsOnUs, to encourage men and women to work together to end this abuse. "Men and women must work together," says Lady Jamileh. "This partnership is important, but men cannot solve all gender parity issues. Instead, more women must be empowered to become leaders themselves." This is why Lady Jamileh does so much to promote female leadership through social media. And fortunately, she is not alone. Facebook executive Sheryl Sandberg started the #MentorHer campaign to do just that. Mentorship is key to breaking through the glass ceiling women experience in politics and economics. Now, powerful women are using arts and media to do exactly that. Through mentorship and advocacy, female leaders in arts and media are working to break down gender-based barriers. In fact, there is a new social media campaign - #SheShoudRun – designed to help more women participate in politics. Many women don't become public leaders simply because they don't even consider it to be realistic. Powerful women are using popular media to change this damaging notion. The staggering lack of female leaders real economic and political consequences. In order to build a better world, more women must be empowered to become leaders. Women in media and the arts are in a unique position to battle gender inequality and oppression. According to the Workplace Gender Equity Agency, mentorship from high-achieving women can help the next generation succeed. Encouragement and training from other women in leadership roles is critical. This is how many women discover new opportunities that they didn't think they had. Lady Jamil Kharrazi, a long-time advocate of women's issues, is one example of the female mentorship the world needs. She uses philanthropy, film, popular media to build cross-cultural understanding of gender issues. For example, she is currently helping the development of a film about Phoolan Devi, India's most famous female vigilante turned political leader. Phoolan was assassinated, likely by her political rivals. This shows just how far violence against women can go. By sharing Phoolan's story with the world, Lady Kharrazi is advocating for change. As a celebrated artist, ballerina, and classical singer, Lady Kharrazi rose to become a leader in the art world. However, her passions for education and gender equality have expanded her leadership into other realms. Lady Kharrazi has worked to help empower women through prestigious programs like the American University of Afghanistan, Harvard University's initiatives in Lebanon, the University of Chicago Harris School of Public Policy, and the National University of Singapore. These programs increase educational and economic opportunities for women across the world. Ultimately, this is critical to building a stronger society. Across the world, women are coming together to make change. Strong mentorship and support is critical to this progress. Lady Kharrazi and other female leaders in art and media work to increase economic, educational, and political opportunities for women. These actions are critical. They help women and the rest of the world realize the benefits of gender equality. Like Lady Kharrazi, women must continue to help each other through mentorship and support. http://phoolandevimovie.com/about/about-the-team/ Toos Foundation-Documentary movie Phoolan Devi.